Our course of instruction is organized to mirror that taught by Professor Okazaki in the early 1900s. 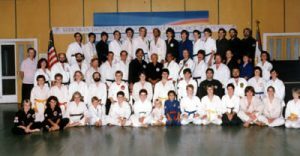 Its content was validated by the late Professor Sig Kufferath, the Danzan Ryu School Second-Generation Headmaster and senior Okazaki student. 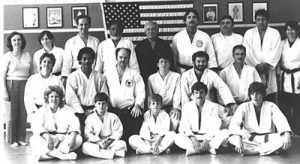 Instruction fees and schedules are determined at the local level by the Dojo Sensei. National Membership is expected for ranking. Our instructors are certified by the Board of Professors.